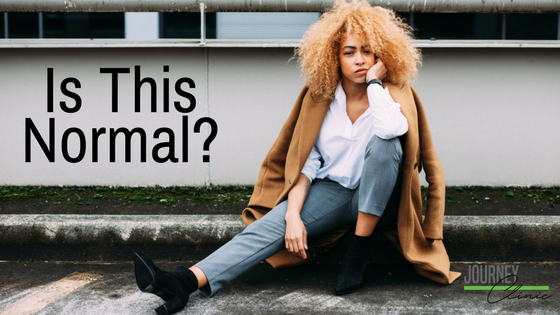 What are normal (or common) feelings that accompany pregnancy? You may suspect or know that you are pregnant. Or you may be feeling overwhelmed and upset to be pregnant. You may feel that being pregnant is beyond what you can manage right now. In fact, you may not be sure you want to remain pregnant. It may seem like you can’t afford a baby right now. It may interfere with the plans you have for your life. These feelings are very normal. Many women experience such feelings when they first discover they are pregnant. Even women who have struggled with infertility and have longed to be pregnant sometimes feel unsure when they discover they are pregnant. The fancy name for this is pregnancy ambivalence. What this really means is one minute you are happy, the next minute you wonder what has happened. Knowing these feelings are normal does not always help. You also have breast tenderness that hurts just to breathe, or your toothpaste makes you gag, and everything you smell has you running to the bathroom. The “discomforts of pregnancy” can make the whole thing seem like just a little too much to bear. This is when discussing your feelings and your symptoms can be helpful. Consider talking with someone close to you or someone who will listen and talk about the facts with you. Journey Clinic is here to help you on this journey. Talking to a nurse and one of our advocates can help you sort out your feelings. We provide you with education on your pregnancy options, inform you of resources available to you, and give you a moment to be cared for by our staff. You don’t have to feel like you need to keep all that you are feeling to yourself. Being equipped with resources and information can be a great way to deal with the overwhelming feelings that are so common in early pregnancy.